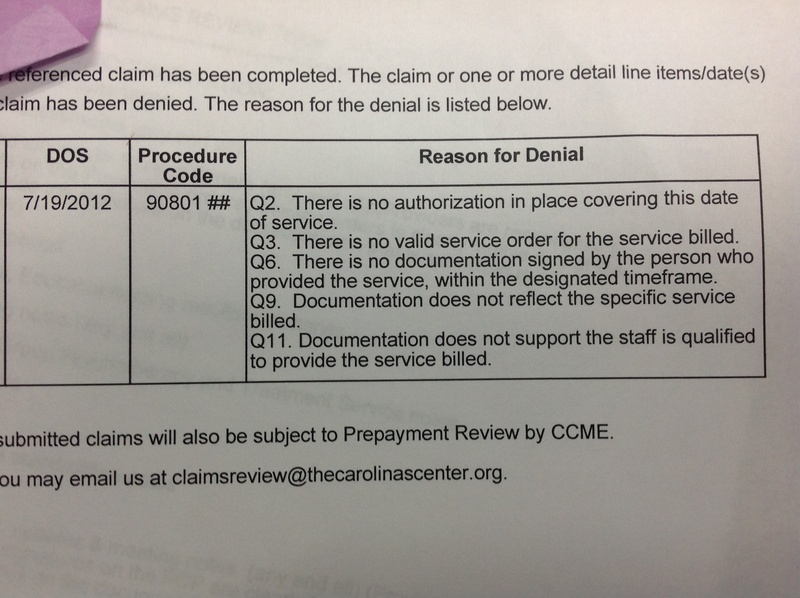 Finally, in North Carolina Division of Medical Assistance’s (DMA) March 2013 Medicaid Bulletin, DMA (long overdue) attempts to analyze information from the Carolina Centers of Medical Excellence (CCME) and to provide health care providers with concrete examples of documentation errors that have caused CCME to deny claims. Good job, DMA. Since CCME was awarded the contract to conduct the prepayment reviews back in 2009, we are so excited to see concrete feedback now in 2013. So a little late, but the information is there, right? WRONG. From my experience as an attorney for health care providers undergoing these prepayment reviews, the documentation errors listed in the March 2013 Medicaid Bulletin are misleading, incorrect, only partially explanatory, and outright wrong. To read the entire March 2013 Medicaid Bulletin click here. Supervision was not conducted per clinical policy requirements. (The Bulletin continues past this, but I will concentrate on PCS/IHC). 1. Providers and their staff were not qualified to supply the services billed. The below picture depicts aan actuual ddenial from CCME. Staff qualifications is reason Q11. In the picture above, read “reason for denial” Q11. That is the complete explanation provided by CCME for denying a claim because of “unqualified” staff. CCME does not provide the provider with the name of the questionable staff member. No information as to what exactly is missing. No explanation as to how the documentation does not support the staff is qualified. Nothing. The provider is left guessing and perplexed because, in actuality, CCME is in possession of the qualifications of all staff. It is important to note that, at the outset, at the very beginning of the audit, the provider is required to supply CCME the qualifications for every single staff member employed by the provider who is serving the Medicaid recipients. Therefore, CCME has in its possession all qualifications of all staff throughout the process. In the above denial, the staff member who provided the services was completely qualified to provide the services. The staff member met all criteria. However, in this case, CCME was unable to decipher the staff member’s signature. Instead of contacting the health care provider and asking which staff member’s signature was on the document, CCME merely denied the claim. I mean, isn’t it easier to deny the claim than pick up the phone to determine if, in fact, the staff member was actually qualified? This is actually not a different reason from #1. This is DMA trying to give examples of #1, although, again, see above for the reality. See Q5: No valid treatment plan/PCP in place for the date of the service billed. The denial for a service note is identical; there is no valid service note for the date of service billed. There is zero explanation as to why the service note is invalid. Was there a service note at all? Was the service note misdated? Not signed? Not dated? Zero explanation. 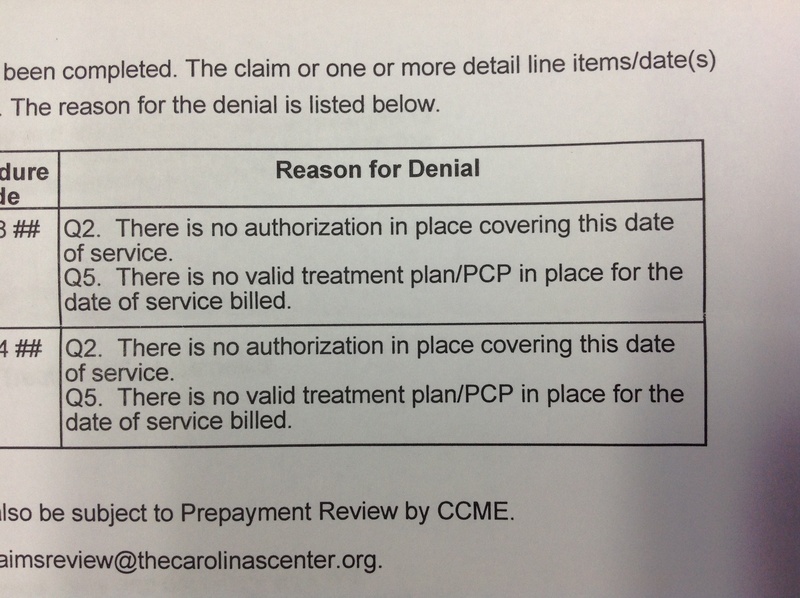 In the denial above, an authorization was actually in place for the date of service and the provider submitted a valid treatment plan. Yet CCME still denied the claim. Why? Well, I cannot pretend to understand the thoughts behind this denial, but I was told by a CCME representative that the authorization was not in place for the particular date of service at issue here, but, in this, case, no authorization was required as the service rendered on this date of service was within the client’s first 16 unmanaged visits for Outpatient Behavioral Therapy (OBT), as the client was a child. Apparently CCME missed that portion in Clinical Policy 8C. As for the treatment plan, in this case, CCME stated the treatment plan was invalid because the provider had not hand signed the treatment plan. This provider, per DMA’s electronic signature policy, had complied wth all requirements in order to electronically sign all documents. However, apparently CCCME failed to review the electronic signature policy. Because, erroneously, this claim was denied. 4. Plan of care was not followed and any deviation from the Plan of Care was not documented. Read reasons for denial Q8, Q10, and Q 12. When I first read this explanation by DMA as to why CCME is denying claims, I said, “Huh?” But then I thought back to the reconsideration reviews and hearing with CCME representatives that I have had. In my experience, CCME reps have read service notes, the goals on service notes, and told me that the goals on the service notes did not reflect the goals in the PCP or treatment plan. Whereas, when I read the PCPs or treatment plans, I subjectively read the goals on the service notes as absolutely encompassing the goals written on the PCPs or treatment plans. Let me be clear: Whether a Plan of Care was or was not followed (per the service note) is a subjective decision. Where I may believe that the plan of care was absolutely followed, someone else may disagree. (My opinion on CCME being allowed to make subjective opinions in this very important audit process will have to be the subject of another blog). Nonetheless, for DMA to state that there have been findings of plans of care not being followed when I have found that, in reality, the CCME denials are subjective, and, in many cases wrong, I find DMA’s examples of issues found misleading. 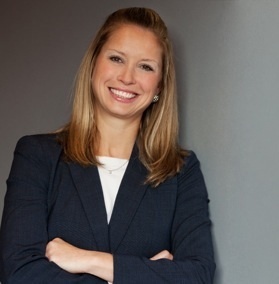 Q8: Documentation does not reflect clients’ response to therapy: Here, the service note (which to preserve attorney/client privilege I will summarize with no names) stated, “Jimmy showed positive signals when we explained that his mother would be more involved. He expressed concern, but we talked about the possible outcomes. He left saying that he would work hard on the homework he was given.” If that service note does not reflect the client’s response to therapy, then someone needs to explain to me what detail is needed for a service note to reflect a client’s response. Perhaps, CCME expects War and Peace. Perhaps CCME expects details such as, Jimmy pursed his brow and rubbed his head when we discussed his mother. Jimmy said, “My response to this therapy is that I do not want to speak to my mother.” Perhaps, the service note should have had a section bolded: “Jimmy’s response to therapy.” Perhaps that would be easier. Q10: Service note does not reflect the specific treatment goal in the treatment plan/PCP: In this case, the PCP enumerated 3 goals. One was stated as (summarized to protect attorney/client privilege), “Jimmy will control his aggression with authority figures, particularly his mother.” The service note’s goal stated that “Jimmy will become more involved with his mother and remember that his mother is in charge.” In my opinion, the service note goal is directly in-line with the PCP goal. But, again, this is a subjective determination that has been placed in the hands of CCME. Q12: Interventions provided are not individualized in order to meet the recipient’s diagnosis, clinical, and intellectual needs: What? How are mental health services rendered for a particular client, not individualized? Jimmy has issues with authority. Did the provider talk about financial issues? THAT would be not individualized. 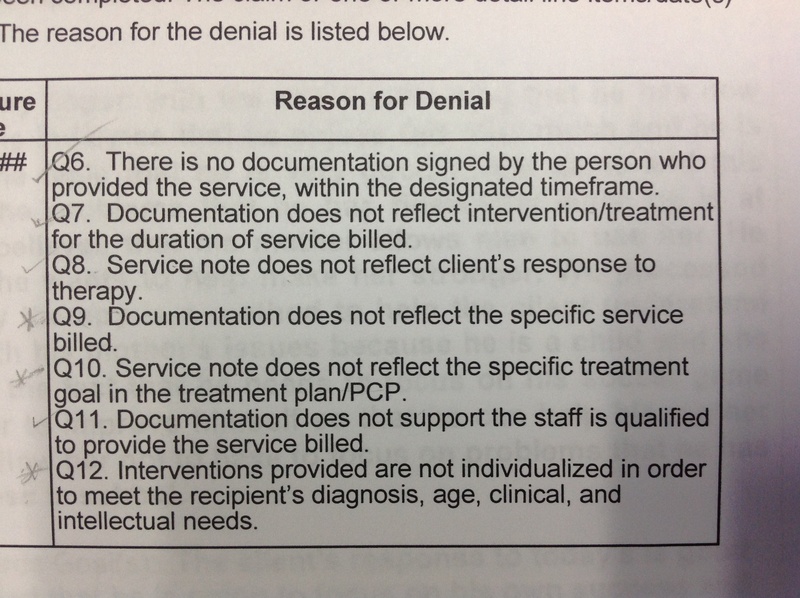 Regardless, the reasons for denial that are issued by CCME (the reasons in the pictures) are completely different from the reasons for denials stated by DMA in March 2013 Medicaid Bulletin. It seems the Medicaid Bulletin’s reasons for denial are more concrete and understandable. Then why can CCME not provide better, more concrete and understandable reasons? Instead, CCME is denying claims because the CCME rep cannot read the staff signature, instead of asking for the identity of the staff member. At my last hearing in which a CCME rep testified, the CCME rep testified that if there is ever a question, a grey area, CCME errs in the favor of the provider. Call me cynical, I don’t believe it. Posted on March 13, 2013, in CCME, Division of Medical Assistance, Health Care Providers and Services, Medicaid, Medicaid Audits, Medicaid Contracts, Mental Health, Mental Illness, NC DHHS, NC DMA Clinical Coverage Policy 8C, North Carolina, Outpatient Behavioral Health, Prepayment Review, RAC and tagged CCME, Health care provider, Home care, Medicaid, North Carolina, Personal care. Bookmark the permalink. 2 Comments.